We’ve all heard this before: the next elections are the most important ever! Only this time it’s true… Join us June 26 from 3 to 9 pm at the Portland Mercado to connect with BerniePDX friends and see how you can support local progressive campaigns, reclaim power for the People, and make our Revolution real. November may seem far away, but for these BerniePDX-endorsed campaigns, the time is now! Dorothy Gasque for US Congress, to represent Washington’s 3rd Congressional District; JoAnn Hardesty for Portland City Council Position 3; Portland Clean Energy Fund; Honest Elections; and Star Voting. 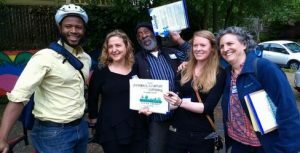 BerniePDX members have chosen to endorse two progressive initiatives with the potential to deeply change how business is conducted in Portland: PCEF (petition PDX-04) and Honest Elections (petition PDX-03). PCEF, the Portland Clean Energy Fund, formerly the Portland Just Energy Transition, would raise $30 million per year through a 1% business license surcharge on billion-dollar retailers, in order to weatherize homes, build rooftop solar, provide job training, grow local food and fund green infrastructure, with priority to low income households and people of color. 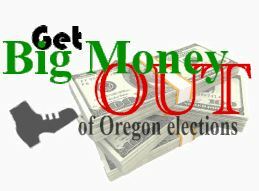 Honest Elections is a coalition for campaign finance reform in Portland and throughout Oregon. Initiative PDX-03 is similar to the measure approved by 89% of Multnomah County voters in 2016: at the city-level, it would prohibit donations by corporations, limit campaign contributions to $500 per individual, and require stronger public disclosure of large contributors.